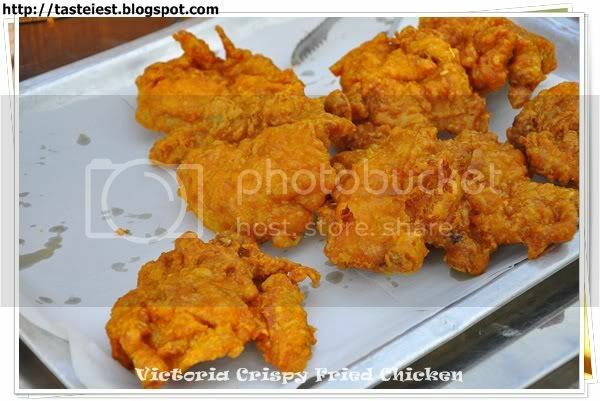 Every Thursday night Vol D’or will have night market that cover the whole street, selling cloth, shoes, food…etc, there is couple of hot stall that always crowded with people and one of our favorite is the Victoria Crispy Chicken. Night market started around 6pm and big parking space available at SJK ©Kampung Val D’or. 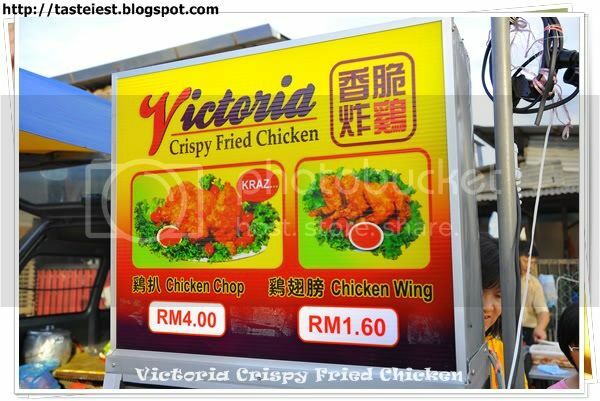 Victoria Crispy Chicken RM4 for drumstick and RM1.60 for wing, we prefer drumstick because it has more meat compare to wing and the drumstick include of thigh. Crispy Chicken Drumstick is boneless and marinated for long time before deep fried to golden color, on the spot deep fried to ensure it hot when served. Cutting the hot crispy chicken, the taste has a little bit of turmeric flavor and it taste just good even without putting any sauce while the meat is tender soft. 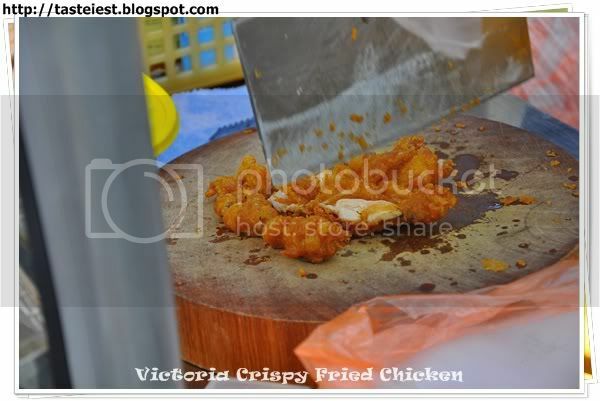 Cutting to small pieces so that you can eat while walking around night market. Normally drumstick cost RM5 or more but this only cost RM4 and it extremely delicious.